A color lover's Dream! 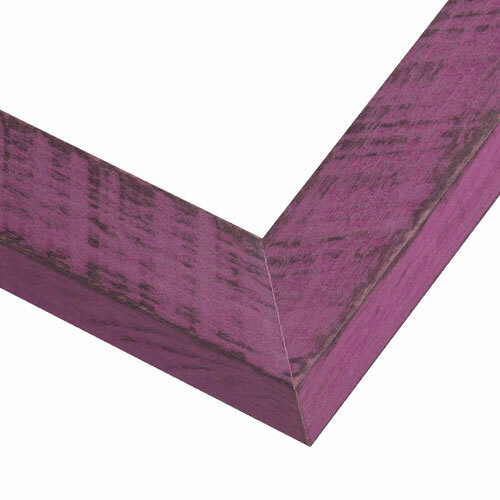 This purple picture frame is made with eco-responsible plum milk paint over a flat, squared profile and sawblade distressing, for a stunning presentation for canvas paintings or a photo frame, a shadowbox, an art print frame or a wedding frame. Handmade by our Artisans from natural wood grown in sustainably managed forests. Custom sizes to 1/8th of an inch! 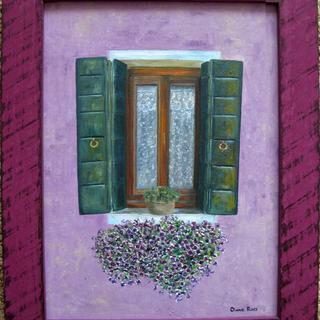 This plum frame matches perfectly with my painting and accentuates the purple flowers. An office colleague photographed this window when visiting Italy. Little does she know that this painting of her photo will be given to her as a surprise retirement gift in June! Thank you for sharing the story behind this lovey piece of art. We truly appreciate your business! Loved it on sight. Goes great with my personal painting. Excellent quality. Great quality and color! 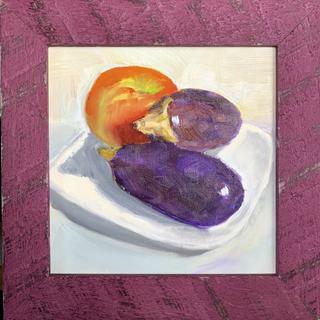 The frame really makes the eggplants in my still life painting pop! Great quality and color! It really makes the eggplants in my still life pop! First time I've ordered from here, and I was not disappointed. I will order from here again. I am delighted with the frame. It looks perfect with the painting and adds needed color to the wall where it hangs. The service was terrific--it came very quickly and in good shape. Thank you. I will order from you again. Loved the color, it pulled out shades in the print. 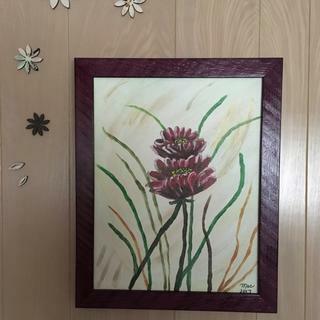 This frame goes very well with the purple based painting I needed to frame. The color will compliment a fun summer painting I did for our screened porch! I have completed a crazy color page. The color that I have chosen will beautifully blend with my coloring and it will really look great! My child's photo matches this frame.